“When I use soft materials to create solid looking objects it’s like an examination of sculpture in general.” This book blends the images of Danish artist Tove Storch and the words of S.M.A.K. curator Thomas Caron, whose conversation with Storch is scattered throughout the book. 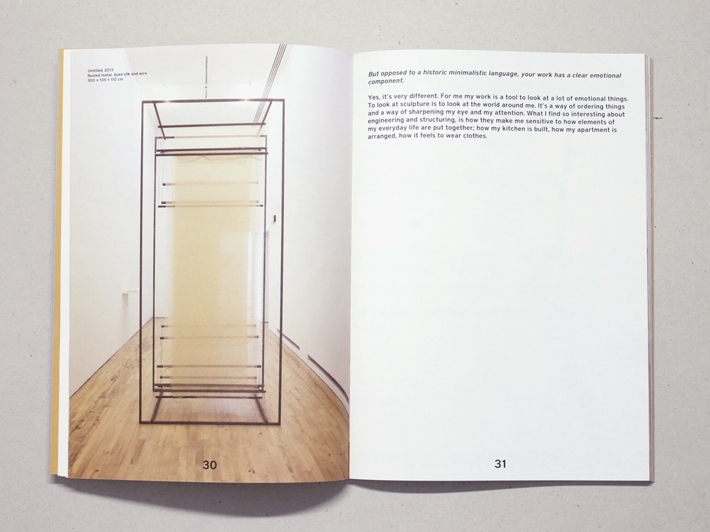 The publication introduces the reader into a minimalist universe made of metal structures mixed with delicate materials such as silk and paper, and informed by dualistic relationships between strength and fragility. The final result offers the fresh take of a young emerging artist on a historicized yet still very actual topic in art history: the modernist sculptural gesture.